Marble furniture, sofa set for outdoor furniture use. - Size : Min. 12 Inch to 150 Inch. The simple elegance of Dholpur Marble Stone Furniture is suitable for practically any style or garden. Elegantly designed and qualitatively finished, these are very unique. (Looks like cracks) in the stone above. This is not a factory defect. We are one of the leading Manufacturers of Stone Garden Furniture which is considered as the best landscaping options amongst all. 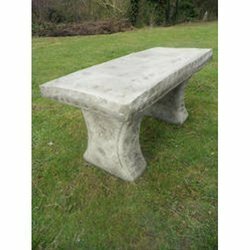 You can avail from us exquisite Natural Stone Garden Furniture to give a contemporary look to your gardens. A number of reputed builders and well-known construction companies use our Granite Stone Garden Furniture. Our range of Single Table is highly polished and provides an antique look to the home décor. These are carved in varied styles to offer classy range of tables. Our range is exquisitely designed by our team of professionals to offer an eye captivating range of single table. These are highly popular owing to their modern look. Perfect outdoor furniture, suitable for all weathers. We are looking for export queries mainly from Germany, France, Poland, United Kingdom, and United States of America. 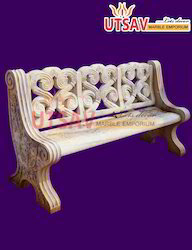 We are one of the most prominent manufacturer, supplier & exporter of Stone Furniture. We offer high quality range of Sandstone Sofa. It is ideal for small gardens or to be fixes near the backed benches. It is specifically designed for outdoor gardens and lawns. It is widely known for its durability and quality. We offer our range at market leading prices.